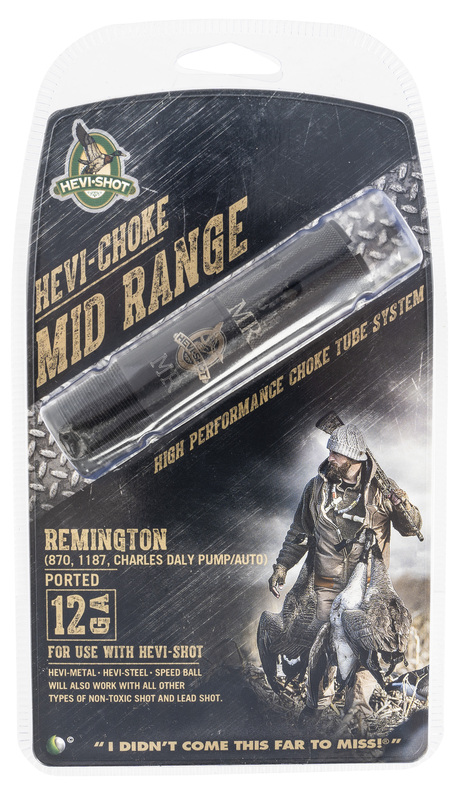 This choke tube has been built to put maximum lethal pellets on your bird. It features a ported, knurled forend for easy installation in the field under any condition, without tools. The porting drops gas pressure at the muzzle, helping ease the wad away from the shot, reduced recoil, and dampen muzzle jump. The choke tubes feature internal axial rings to keep the shot cloud on target. The tubes are forend from aircraft stainless steel for years of carefree use, and finish in matte black for concealment.